I learn a new craft like this and I immediately start thinking of excuses to practice. This usually turns into Christmas gifts for the grandparents. I don't think they mind TOOO terribly much. 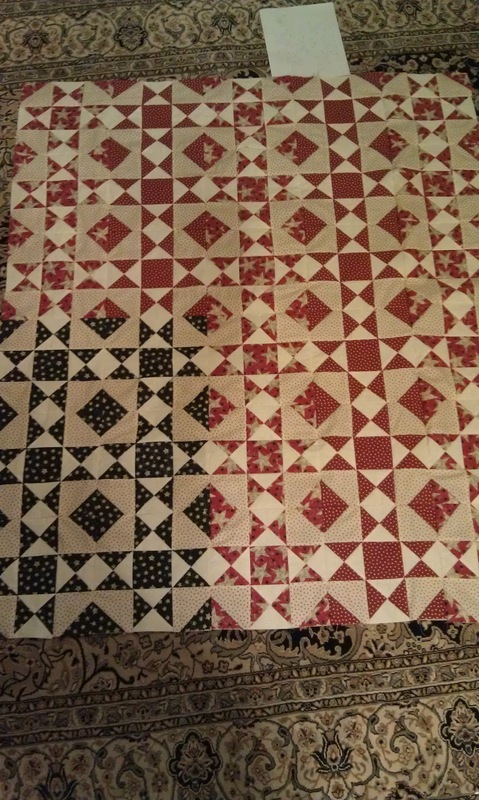 For one of my mothers-in-law (I have two) I went with this beautiful assortment of rustic reds, whites, and blues. 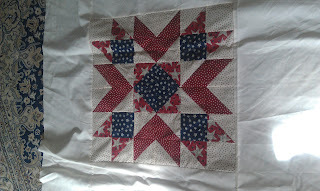 I thought a quilt like this would feel right at home tucked away in the country in their beautiful home in the woods. 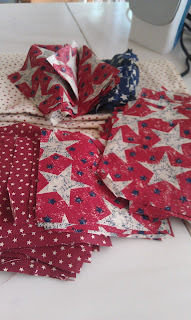 At first I wanted to do a simple patchwork flag, but after taking Amy Gibson's Craftsy class, I just knew stars would be perfect!! 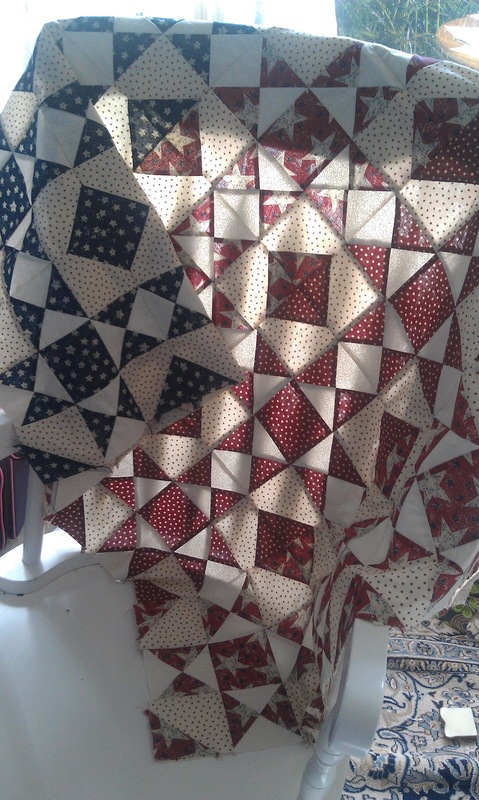 Check her out at Stitchery Dickory Dock . It's chock full of adorable inspiration. 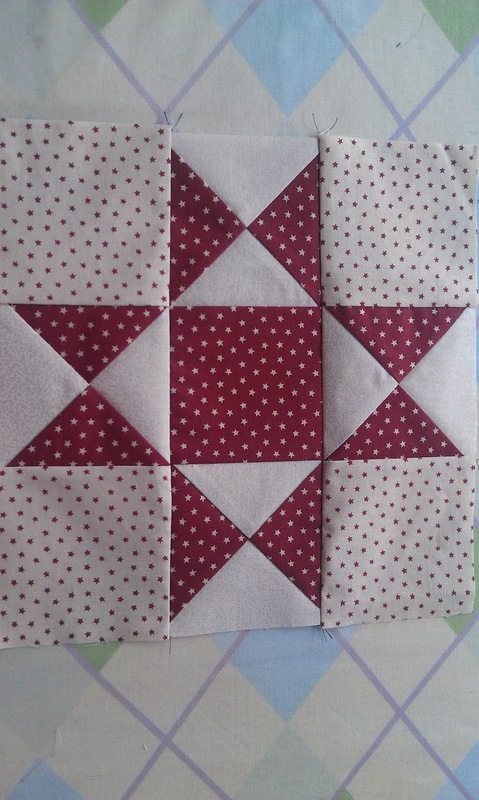 This block is called Ohio Star. It's very traditional and I love the way it looks with star-printed fabric. They were meant to be! 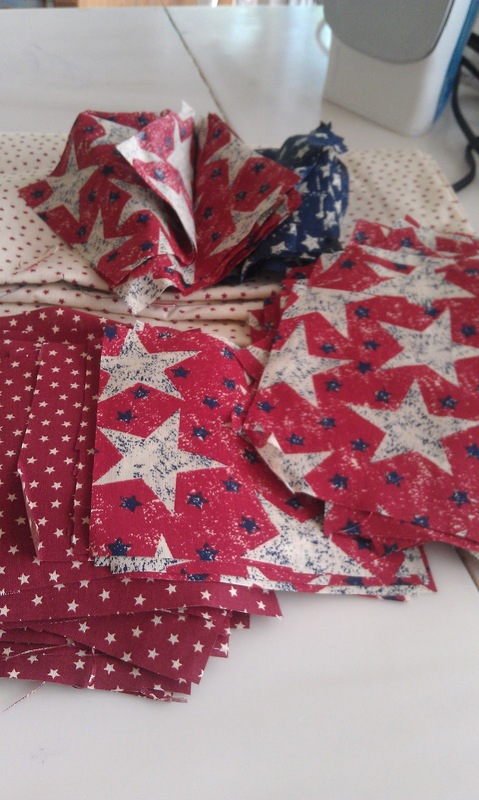 I was worried it might be a little bit illegal to sew a flag so I looked it up, haha :) The flag code states that you cannot recreate the image of the flag on blankets, tshirts, or anything of any kind. I'm pretty sure Old Navy makes a ton of money doing this exact thing every year, so I'm not worried about it. It also states violations of the flag code are not punishable by law. Good to know!! After I had all the blocks done I decided they needed a little more, so I added the triangles, foundation-pieced to the corners, to create the center squares in the finished quilt top. 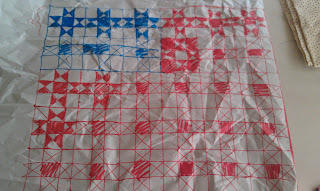 Then I had quite a bit more fabric, so I decided to jazz up the back a bit. 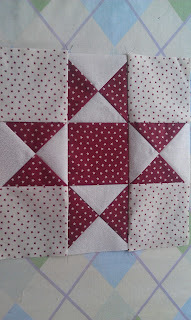 I found this gorgeous star block online with no tutorial, so I just figured it out. 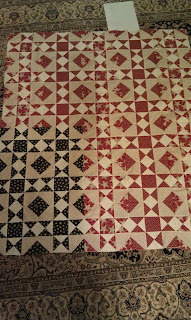 I think it looks great against the Kona Bone background and is a perfect compliment to the front of the quilt. I'm not sure how I'll bind it yet. It's tucked away in my closet waiting patiently for some batting to arrive, and hoping to grace its recipient's doorstep in time for her birthday (and if that fails, Christmas).